The aspirants and candidates for different vacancies can check the examination dates. The complete timetable is given below. It has been taken from its official website. Thus, people can feel free to follow it else can visit the official web portal for the same. The first exam is scheduled to happen on 3rd January. The very first examination as per the timetable is Combined Defence Services while the most-awaited exam, CS is to start from 7th August. N.D.A & N.A. Exam (I), 2016: April 17. I.E.S/I.S.S Examination, 2016: May 13. Combined Geo-Scientist and Geologists’: May 13. Engineering Services Examination: May 27. Combined Medical Services: June 12. Central Armed Police Forces (AC): June 26. Reserved for UPS CRT/Examination: July 3. Civil Services (Preliminary): August 7. Indian Forest Service (IFS) (Preliminary): May 7. UPS CRT/Exam (reserved): September 4. N.D.A. & N.A. Examination (II): September 18. C.D.S Examination (II): October 23. Civil Services Main Examination: December 3. S.O./Steno (GD-B/GD-I) LTD. Depttl. Competitive Examination (Written): December 17. The UPSC is the central agency of India responsible for conducting various examinations from time to time as per the required vacancies in departments likes of Civil Services, IFS, CDS, NDA, NA, CMS, SCRA, IES, ISS, CGG, CAPF, etc. Stay tuned to The Reporter Times for latest exams notifications and scholarship news across the nation. Don’t forget to share it with your friends. 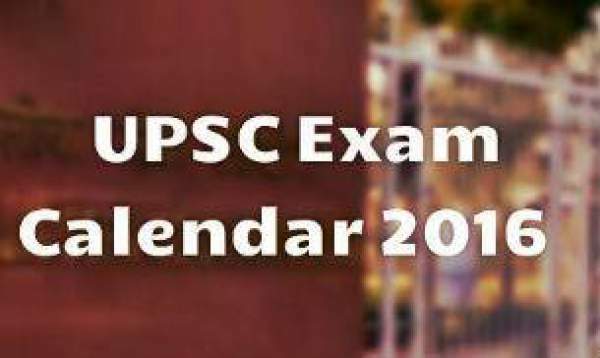 Do you like the schedule for UPSC 2016 examinations? Do you want to suggest some changes? Share your views and thoughts with us in comments. Check what others have shared below.